I acquired this PDP-11/10 in November 2007. 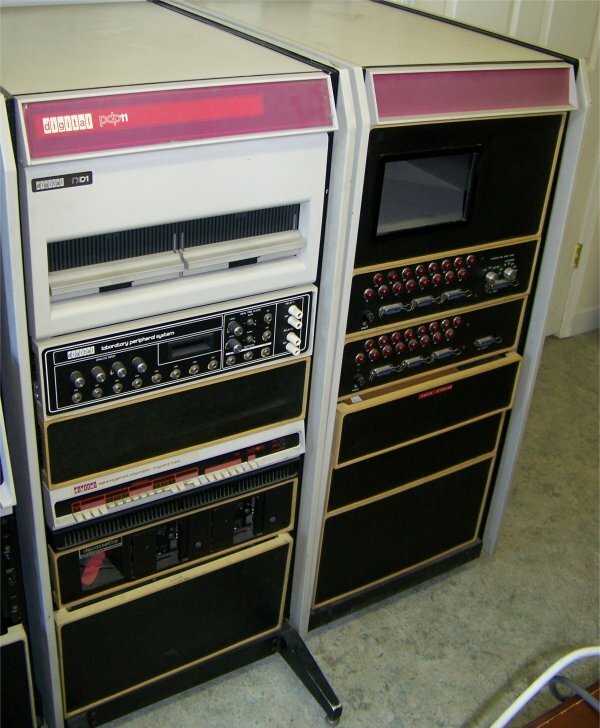 It is in the shorter H967 rack and is configured with the LPS-11 Laboratory Peripheral System, a TU60 DecCassette unit, and an RX01 Diskette Drive. A separate rack contains interface panels. I have not attempted to test it out yet.